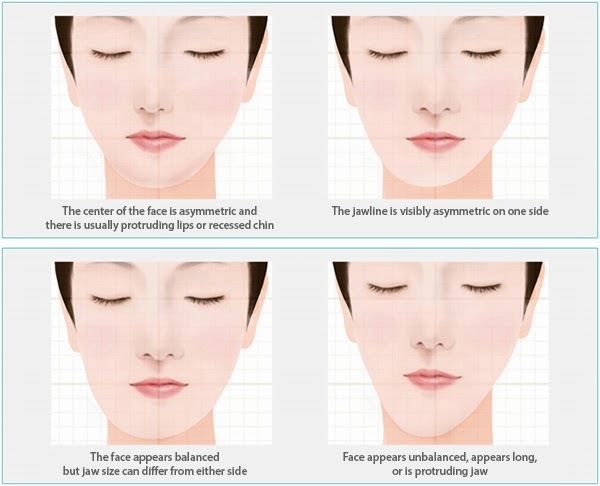 Facial asymmetries consist of an imbalance between the homologous skeletal structures of the face. Most people present some degree of facial asymmetry, since a state of perfect symmetry is rare. This common asymmetry only becomes relevant when it is perceivable by the patient. In this situation, either orthodontic surgical correction or orthodontic treatment is normally chosen. People who are exposed to the sun’s harmful UV rays, especially truck drivers have an asymmetry. What side of the car you are driving on determines what side of your face will be the worst affected. Sleeping on your side has to cope with excessive weight (from the rest of your head) resulting in more strain and hence aging. Any injury can change the way the muscles on one side of the face act, which can result in facial unevenness or asymmetry. We use one side of our face and body, hence using the same muscles leaving the other side idle. There come an uneven or asymmetry muscles clearly affecting the facial symmetry. The measured response to the orthopedics once a decision has been made to use them. There are different techniques as per the condition of the patient. There are several evaluation stages of the deformity to determine the technique to be used. Regular visits are required for the evaluation stage, taking proper instructions from the doctor. Orthodontic functional appliances may be used to attempt to stimulate growth on the affected side, thus producing an equal growth. Early surgery to improve facial appearance and facial growth , thereby reducing the severity of the adult deformity, followed by orthodontic treatment. JP Dentofacial and Implantology Clinic is one the best dental clinics in Thrissur.